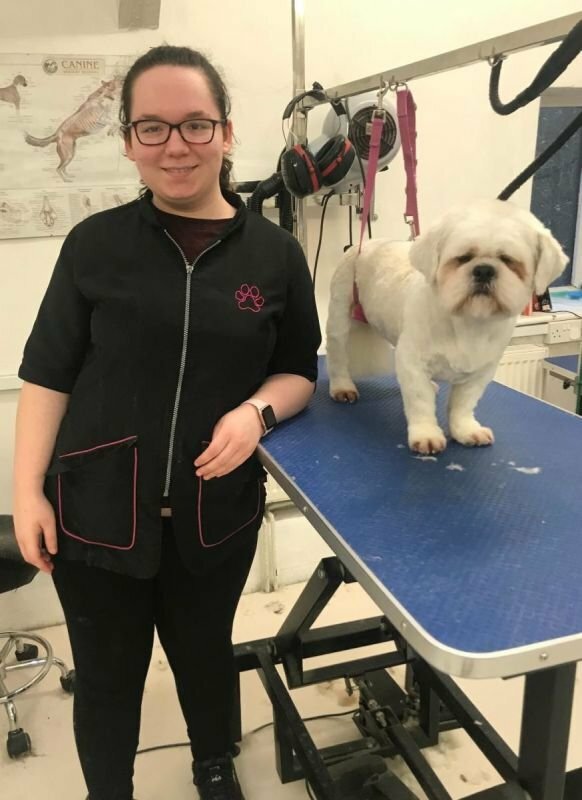 I joined Canis in 2018 so that I could train for the City & Guilds level 2 qualification in dog grooming as I had always wanted to become a dog groomer, but before that I attended Abingdon and Witney College studying Animal Care. I will start on my City & Guilds 7863-03 Diploma in Dog Grooming in the next couple of months, and then I will be professionally qualified. At home I am big sister to Boo and Lola, two Newfoundlands. Boo and Lola are regular attendees at Canis for a bath and brush and trim, all carried out by me. I am a Cola drinker at this point in time!